The TG10-Mk.2FN chassis is a narrow tread version of the TG10-Mk.2FZ. It features the FS-12FN engine with die-cast heat sink head. 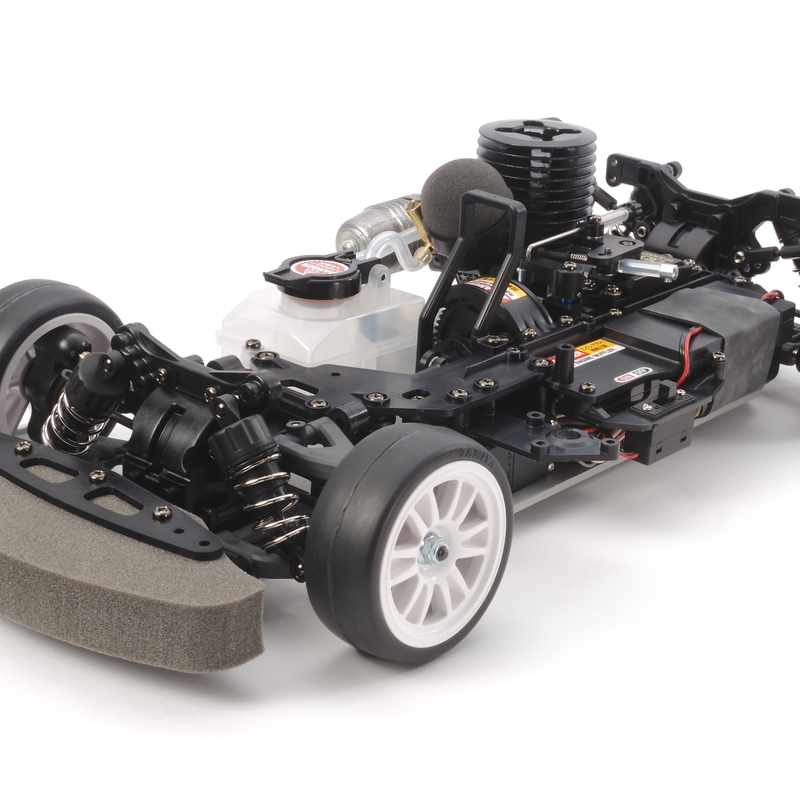 The introduction of a narrow glow-engine R/C chassis allows users with standard Tamiya touring car bodies to utilize them on this model, making the crossover to glow-engine from electric R/C easier! Other notable differences from the TG10-Mk.2FZ are the cost efficient single-speed transmission and plastic oil-filled shock absorbers. Special Feature 1 Length: 377mm, width: 189-193mm. Wheelbase: 257mm. 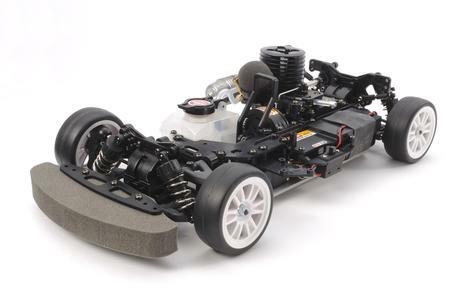 Special Feature 2 Narrower tread is achieved with new suspension arms, and allows use of Tamiya's extensive range of standard width bodies that measure 190mm wide. Note: New body mount holes (and in some cases, other slight modifications) are needed. Special Feature 3 The Tamiya FS-12FN engine has a sliding carburetor, die cast heat sink and compact recoil starter unit. It is paired with the TM-4 muffler, which also appeared on the TG10-Mk.1 chassis. Special Feature 4 The model utilizes a fuss-free and reliable single-speed transmission (7.02:1 gear ratio). Special Feature 5 Reliable shaft-driven 4WD uses ball bearings in the drivetrain to minimize power loss. Special Feature 6 4-wheel double wishbone suspension features oil dampers with plastic cylinders, and geometry optimized for use with rubber tires. Ball connectors allow for swift setup changes. Special Feature 7 75cc fuel tank includes special filter and offers up to 8 minutes of running time. Special Feature 8 Compatible with option parts to easily and effectively upgrade the chassis. Special Feature 9 Compatible with Tamiya LF Battery LF1100-6.6V Racing Pack (Item 55105) as a receiver power source.